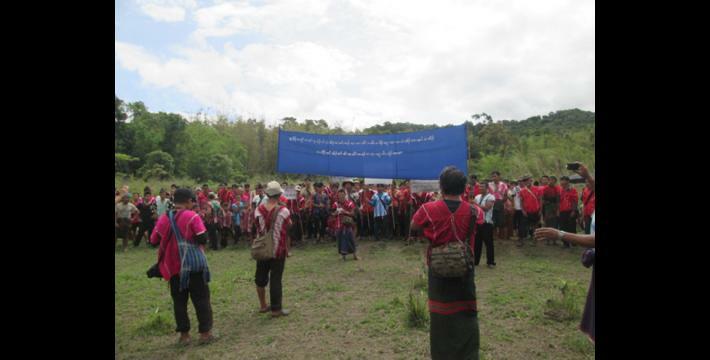 These photos were taken on March 28th 2017 in Pla Hkoh and Yeh Mu Plaw village tracts. 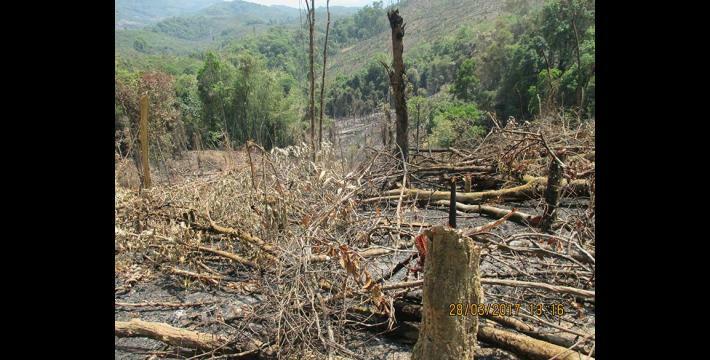 The photos show several hill farms that were burned on March 26th 2017 by Tatmadaw Light Infantry Battalion (LIB) #351, based in Kuh Hkoh, Pla Hkoh village tract and Infantry Battalion (IB) #72, based in Pwa Gaw, Yeh Mu Plaw village tracts. 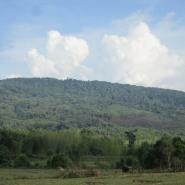 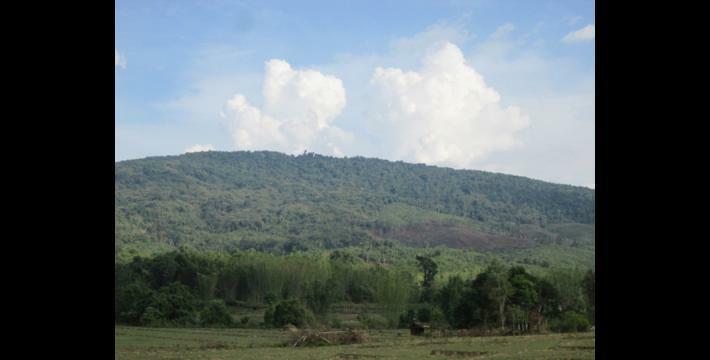 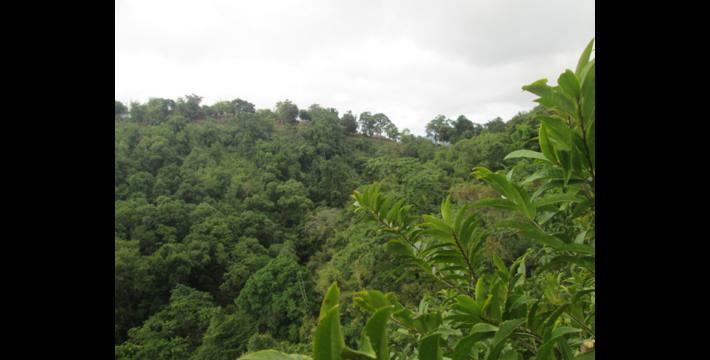 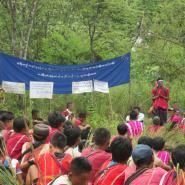 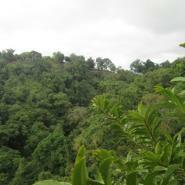 These hill farms were owned by villagers who live in Pla Hkoh and Yeh Mu Plaw village tracts. 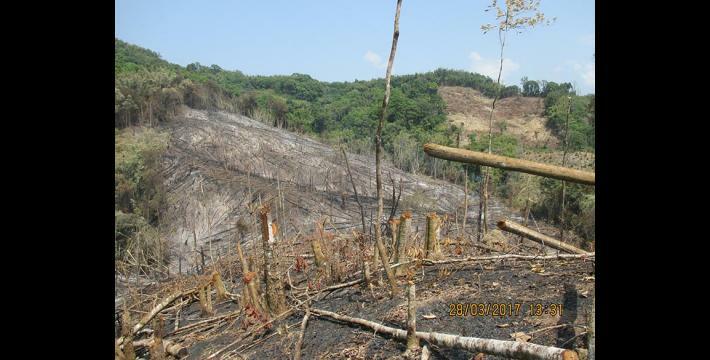 The first and second photos show the hill farms that were so damaged by the fire that villagers were unable to cultivate them. 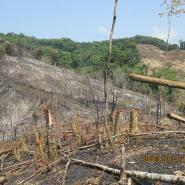 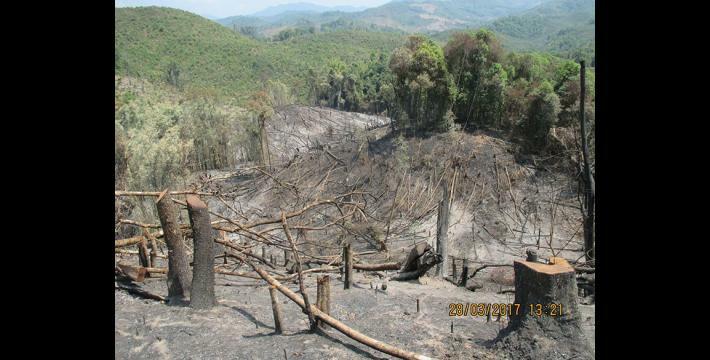 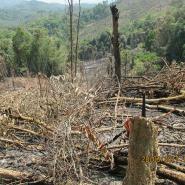 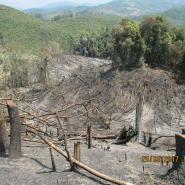 This damage was so extensive because the Tatmadaw interrupted the traditional cycle of forestry management by prematurely burning the hill farms. 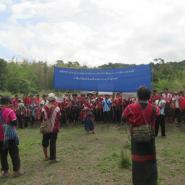 These photos were taken on May 15th 2017, in Pla Hkoh village tract, Lu Thaw Township, Hpapun District. 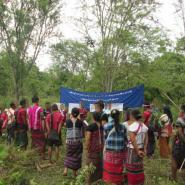 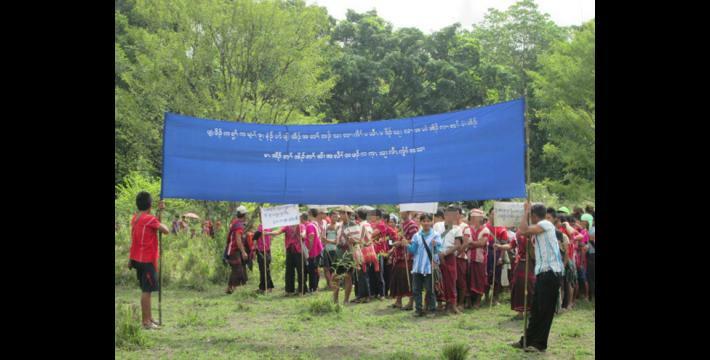 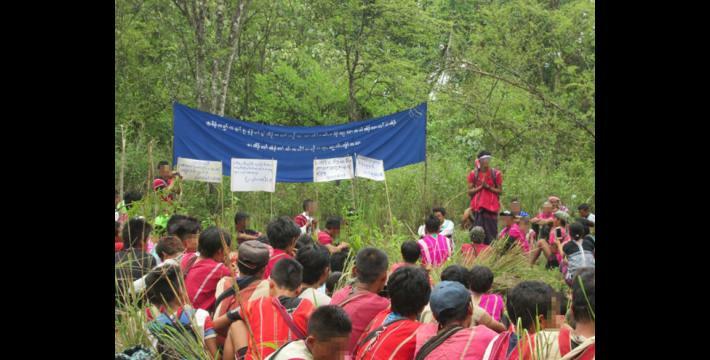 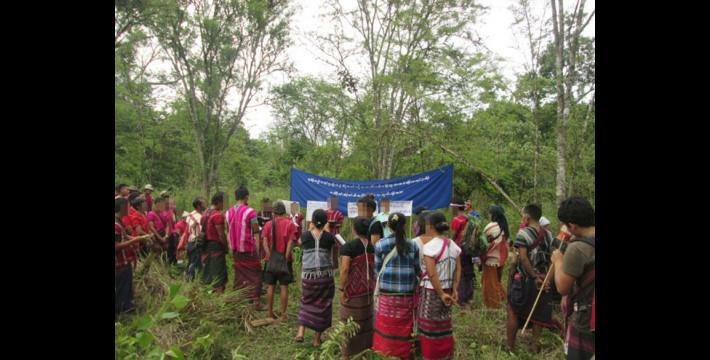 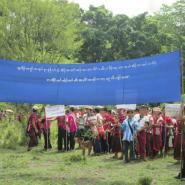 They show IDPs in Lu Thaw Township holding a protest to urge the Tatmadaw to withdraw their army camps in order to enable IDPs to return to their original villages and work on their plain and hill farms safely and securely.